You may have noticed I haven't written a single musical review this year so far. That's because I haven't seen a single live musical in three months soon. I think that's the longest time in the past three years I've gone without seeing one. Pictured: an accurate description of my feelings regarding the fact. I'm not trying to break a habit here... It's just that in Finland, it's not a very good season for musicals right now. Most big productions premiered in the autumn, and I saw them in the autumn, too. While I'd maybe like to see some again, there is nothing running at the moment I'm really enthusiastic about. Musicals are my preferred genre, but if there are none available, I'm certainly not going to stop going to theatre altogether. Instead, it's time for straight plays. I enjoy plays, but they don't elevate me above the ground quite in the same way musicals do. I know people who say they love straight plays but don't really get musicals, and think they should see musical theatre more often to properly understand it. I guess that works both ways – consider this spring my crash course in straight plays..? 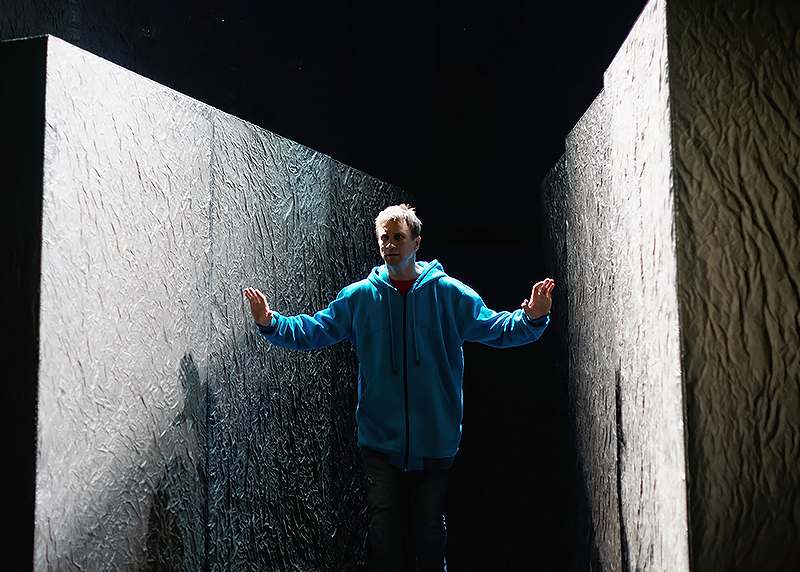 I wrote about Tampereen Työväen Teatteri's new play Hevosten keinu already (Finnish only). In this post, I'm going to introduce you to four other plays I've seen this spring. I briefly mentioned Turun kaupunginteatteri's production of Meganin tarina in a previous post. Megan's Story is a Finnish play by Tuomas Timonen based on the real story of Megan Meier. A teenaged girl is bullied online and pushed all the way to the breaking point by her anonymous tormentors. She sees no other way out than the most extreme one. Kaikki on kohta hyvin (or Ömheten, as the original Swedish title goes) is a play by Jonas Gardell that ran in Tampereen Työväen Teatteri last autumn and this spring. Set in the 80s, it's a story about Rasmus and Benjamin, a young couple deeply in love with each other. It's just that Rasmus has AIDS and so their time together is running out. I'm lumping these two together because I feel they're actually about the same thing. Obviously, both are about death. From different perspectives, sure, but still about a young person dying before their time. Both are also based on real-life events. Meganin tarina is strongly inspired by the real story of the Meiers family, right down to details. Kaikki on kohta hyvin, then, is a fictional story set during the real AIDS hysteria of 1980s. In interviews, playwright Gardell has stated it's based on his own experiences and people he knew who lost their battle with AIDS. But most strikingly, both plays are about parents losing a child. In Meganin tarina, the titular character dies before intermission. The second act is about Megan's parents trying to make sense of what happened, attempting to bring the bullies to justice, and breaking up in the process. In Kaikki on kohta hyvin, the central conflict involves Rasmus's parents. Rasmus hasn't dared to tell them of his illness. 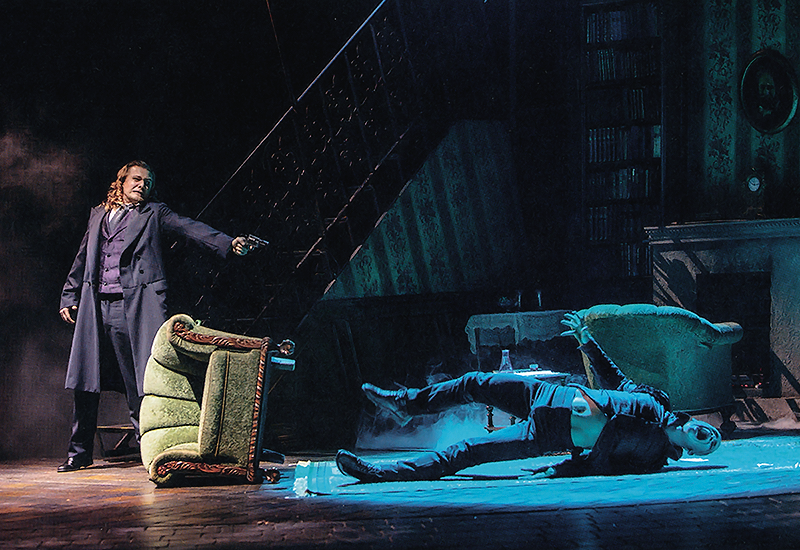 The first act shows what happens when he finally does, and the second act shows what happens when Rasmus dies. It doesn't turn out too pretty – while the parents are hurting, they are also homophobic, and that makes for a volatile mix. Since I'm interning in Turun kaupunginteatteri, I got the chance to watch Meganin tarina twice during the premiere week. I was terrified during the first time, but the second time didn't move me much anymore. While a 13-year-old committing suicide is always tragic beyond words, the shock value only worked once for me. But the first time was powerful, to the point of feeling actual physical pain. Kaikki on kohta hyvin made me feel pretty awful both times (I saw it twice because, yes, Severi Saarinen played Benjamin). While Rasmus dying was sad, I found it especially horrifying to watch how his parents treated Benjamin after their son's death. They left the broken young man completely alone. It's awful how cruel people can be towards each other for the unfairest of reasons. 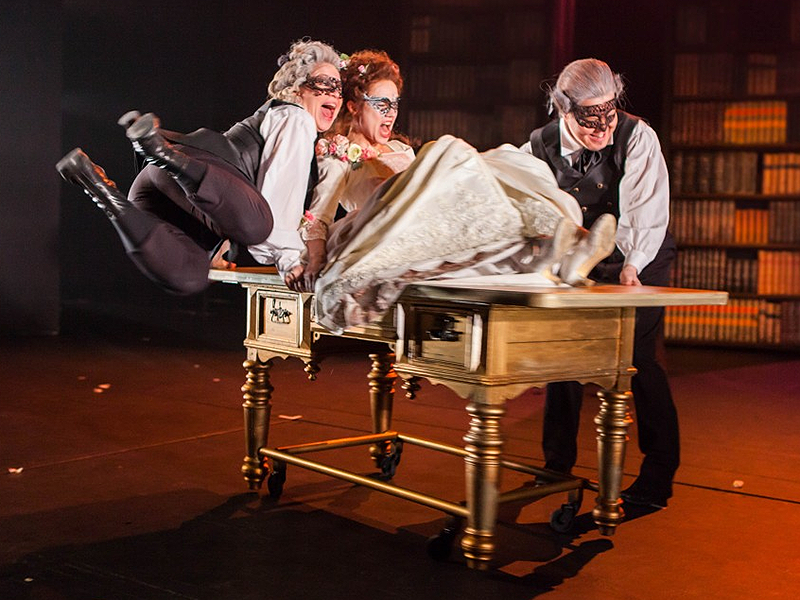 Peter Shaffer's play Amadeus also features heavy themes. Envy, hatred and revenge, all served with a side of death. But, unlike the previous two plays, it's also funny – while it ends on a dark note, there are lighter scenes and humor sprinkled throughout the story. A period drama set in the 18th century featuring beautiful costumes and wigs, it's also easier to think of Amadeus as just a story. While the play is based on the real lives of W. A. Mozart and Antionio Salieri, it's really a story about what could've happened, not about what actually did. The play has made the rivalry in between Salieri and Mozart famous, but many historians think the two were actually on good terms. So, all in all, Seinäjoen kaupunginteatteri's Amadeus served as a little escape from the real world after two rather realistic and upsetting plays. It was nice going back to Seinäjoki. I visited the theatre often when their production of Tanz der Vampire was running. I've been looking for a reason to go back and feel nostalgic for a bit ever since, and since Amadeus is a play I've been wanting to see for a while, it was finally time to return. While I found the show a bit too long and my mind started wandering by the end of the second act, watching Salieri's downward spiral deeper into obsession, bitterness, and borderline insanity was mostly fascinating. Esa Ahonen did a great job in the leading role. You couldn't help feeling for Salieri, even when you watched him do his best to destroy Mozart's career. As a whole, I had a good time. And the Seinäjoki nostalgia – ah! The town was just as gray and gloomy as I remembered, the streets just as empty and creepy when leaving the theatre after the performance. I don't think the town is one of Finland's hidden jewels, quite the contrary... But in my mind, Seinäjoki is connected to so many great performances and fun experiences, I can't help feeling happy whenever I visit. And Amadeus is one more good performance I can add on the list! I've seen The Curious Incident of a Dog in the Night-Time in London before. And, to be honest, I didn't much enjoy it. Mark Haddon's The Curious Incident is one of my favourite books. It's a story of 15-year-old Christopher who sees the world a bit differently the than most of us. He's great at maths and remembering things, but has difficulties understanding people's expressions and feelings. When Christopher finds out his neighbour's dog has been stabbed with gardening fork, he decides to become a detective and solve the curious case – and embarks on an adventure of lifetime in the process. My mind understood that the London production was fine, but my soul didn't feel much. I knew that the acting was good and the sets were impressive... But it was too different from how I imagined the book, and my soul wasn't able to forgive that. I guess many feel like that when watching adaptations of their favourite books. The novel has left such a big impression on me and my mental images of it are so strong that I figured I would never really appreciate any adaptation, no matter how good. I'm happy to tell you I was wrong. In Tampereen Työväen Teatteri, my soul felt so much I could hardly stop crying. I was especially impressed by the lead. Jyrki Mänttäri played Christopher to perfection and matched my mental image of the character just right. Though Mänttäri is 30 years older than his character, I didn't doubt for a second I was watching Christopher from the original novel. I'm still amazed. The Curious Incident was such a moving experience that I haven't even dared to read any reviews yet. I want to see the play again (which I'm going to do this Friday) before letting others' thoughts influence my own. All in all, it's been an intense ride. Plenty of heavy subjects. A musical about death can be uplifting. Think about Les Misérables – while two thirds of the characters die and the rest suffer horribly, the second act still ends on the notion that they died for a better tomorrow. There is a bright future waiting just around the corner and we can all fight for it. Not to mention a cheerful medley of catchy showtunes to accompany the audience out. Heavy plays, in my experience, cannot be used as escapes from one's real-life problems quite as easily. As The Curious Incident showed me, they can be cathartic experiences too – but for me, that doesn't happen as often as with musicals. 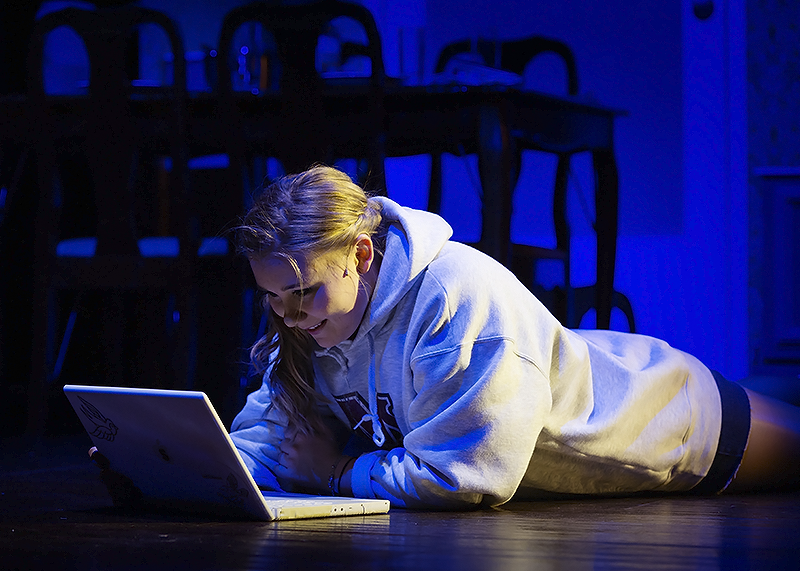 A straight play can give me plenty to think about, but a good musical recharges my batteries like nothing else. But in any case, interesting theatrical spring so far! Photos: Turun kaupunginteatteri, Tampereen Työväen Teatteri, Seinäjoen kaupunginteatteri. As always, hover over the images for more information.